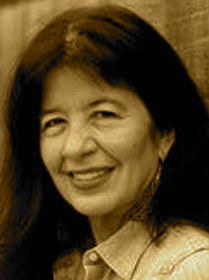 A Year of Being Here: Joy Harjo: "Emergence"
a thin skirt of desire skims the earth. and the urge to go wild. against the flint of hard will. There is no world like the one surfacing. entering my house by waves of sound. and I don't smoke cigarettes. of walking, thinking and flying. with the longest day in the world. "Emergence" by Joy Harjo, from Map to the Next World: Poems and Tales (W. W. Norton & Company, 2000). 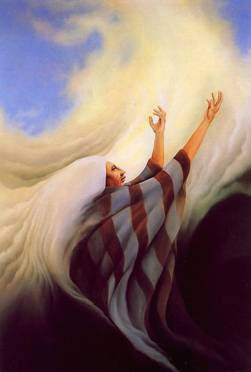 Art credit: "Ascension I" [widely known on the Internet as "Emergence"], oil painting by Frank Howell.